Below is a fleshed out version of the Star Telegram article covering Tuesday’s Town Hall meeting. If you were there at the meeting, and you read the original article, you know why we had to put our two cents in. Additions/corrections are in bold. 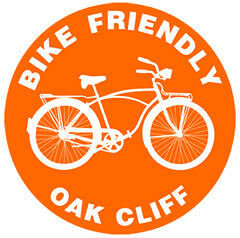 ARLINGTON — While some a lot of residents cheered the city’s plans to add bike paths as a way to make Arlington a healthier, safer, more attractive community and give people more of a choice in their transportation options, other a few vocal opponents to making Arlington better for everyone (who also happen to be residents) criticized the paths as expensive and inconvenient for motorists and property owners. More than 100 people gathered at a town hall meeting Tuesday night to weigh in on Arlington’s proposed Hike and Bike Master Plan. Many wore yellow T-shirts to show their support for the bike plan. “It was impressive to see all that yellow in the audience,” said one attendee not quoted in this original article. 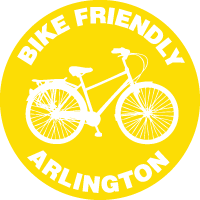 The 30-year plan calls for adding more than 100 miles of on-street bike lanes through the city as well as other amenities, policies and infrastructure improvements geared to make Arlington friendlier to pedestrians and cyclists. 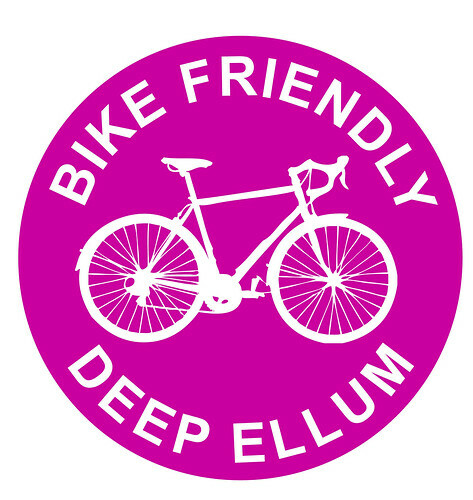 Several residents said cycling has not only provided a recreational outlet for their family or an alternate way to commute, but has also helped them connect with other residents and businesses. But others, such as Carl Oehler, said they couldn’t support a plan that they fear [sic] would add congestion to busy city streets by encouraging slower cyclists to travel with cars. “Why would anybody want to plug up a city that has good transportation,” Oehler said. Hike and bike supporters countered that the city only has “good” transportation for cars, but that streets are made for walking and bicycling, not just motorized vehicles, and that bike lanes will improve traffic flow by providing bicyclists a place to travel on the right side of the road out of the flow of traffic. When resident Zack Maxwell complained [sic] about the possibility of being stuck behind a cyclist traveling 10 mph, someone from the opposition sarcastically yelled, “Get used to it!” A couple of cycling enthusiasts reminded the crowd that state law says bicycle riders have the same right to use street lanes as motorists (Note: It is true that bicycles currently have right to ride in the street, but not all motorists are up-to-date on their traffic laws, and they see bicyclists as encroaching on their territory. The plan calls for striped bike lanes that would create a delineated space for bicyclists). Resident Kimberly Frankland said is concerned designated bike paths on city streets would cost taxpayers to maintain as well as create. Her opinion is that the city would have to spend more on street sweeping to keep the 5- or 6-foot wide paths clear of debris that could injure cyclists, an expense not mentioned in the hike and bike plan, said Frankland, who added that she does not believe that the number of cyclists in Arlington justifies the plan. (Note: Ms. Frankland’s opinion is not informed by three things 1) the survey in the Plan that shows people would ride more if they had on-street bike infrastructure, 2) studies have shown that bicycle infrastructure increases ridership, and when people see others riding, they too begin riding more and 3) Ms. Frankland’s statement that the plan would only benefit 0.4% of Arlington is false because it is based only on those who are expected to commute to work on bicycle. She leaves out three other categories of bicyclists that make up 98% of all estimated bike trips. The projected bicycle demand on p. 2-13 of the plan estimates that 28,159 bicycle trips occur in Arlington from school children, college students, and other “utilitarian” trips. Other expenses have been outlined by the city staff. Bike paths can cost $3,000 per mile for a simple stripe painted on a road lane or up to $1 million a mile for paths built through a park that require a bridge over a creek. Comparatively speaking it costs $1 million dollars per lane mile to build a road so on-street bike paths would be about 0.3% of a road’s cost. 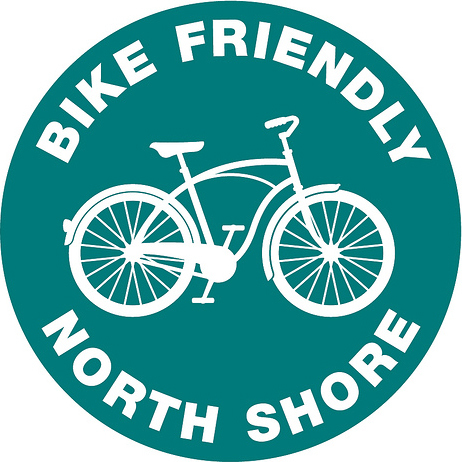 City staff has stated in past meetings that bike projects would only be done as part of regularly scheduled road maintenance and not as stand-alone projects, and would be done only if funding is available. The plan also recommends $15 million to fill gaps in sidewalks, $118 million to build the off-street bike trails and $500,000 to $800,000 for on-street bike paths. However, city staff emphasized that these costs are spread out over 30 years, and that cost and budget would be addressed year-to-year, project-to-project, depending upon availability of funds. 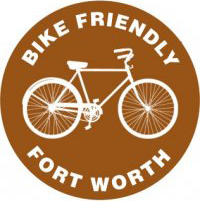 Staff discussed figures at the meeting estimating that the cost of on-street bike routes would be only 0.4% to 0.6% of plan’s estimated costs, while greenways and trails completely separated from roads would comprise 88% of the plans cost. Sidewalk gap improvements would be 11% of the total cost of the plan. If the plan is approved, projects could be paid for with bond funds, grants or private donations. Improvements such as striped bike paths or new sidewalks would be coordinated with rebuilding streets, officials said. “If we had just started this plan 30 years ago, it sure would have cost a lot less money,” resident and plan supporter Wesley Miller said. In response to the opposition speaker that made the comment to City Staff, “I didn’t see any negative aspects of the plan presented” Mr. Miller commented “I haven’t seen any negative aspects of the plan that aren’t silly.” Mr. Miller then took his seat to a round of applause generated by over two-thirds of the people in the room. Remember back in February when P&Z voted to recommend the Thoroughfare Development Plan and Hike & Bike Plan? That was great, wasn’t it? Oh the memories! Well, guess what. It’s not over yet, and we need you to show up again to support the plans at two Town Hall Meetings (see upcoming meetings to the right, or in the news). These two meeting are happening because those in opposition weren’t happy that the Plans passed P&Z. Heck, they even looked surprised back in February. And why not? Those in support outnumbered them 3:1. The Plan will help create a system of bike lanes that will GIVE people CHOICES about how they get around town. It will FACILITATE bicycle and pedestrian MOVEMENT throughout Arlington without impacting vehicular movement. Bike are already allowed on the steets, but adding bike lanes will make that kind of movement SAFER. For those that bicycle now it should be no surprise that bicycling is a HEALTHY form of transportation that SAVE YOU MONEY and keeps that money in the LOCAL ECONOMY so we can buy items like food, or comic books instead of sending it abroad to foreign oil companies. A city with BICYCLE INFRASTRUCTURE is a COMPETITIVE city because bicycle infrastructure is an ATTRACTIVE AMENITY to home buyers. It can RAISE PROPERTY VALUES and bring in NEW ECONOMIC OPPORTUNITIES. The proposed Thoroughfare Development Plan and Hike and Bike System Master Plan both increase safety by slowing motor vehicle speeds by not overbuilding roads to widths that cause speeding. They also provide for street improvements that make walkers and bicyclists more visible to motorists. The plans call for pedestrian improvements, such as more sidewalks, pedestrian crossing signals, refuge islands, raised crossings, raised medians, curb extensions and bulb outs. “Road diets,” or “travel lane conversions,” are when a vehicle travel lane is changed to another use such as a bike lane, sidewalk, or on-street parking. The plans call for a limited number of these “road diets.” These 14 road segments are listed in the TDP in Table 5.2, page 25. 13 of these segments are 4 lanes to be converted to 3 lanes (2 travel lanes and a middle turn lane). In these segments, the space taken up by the fourth lane would be converted to bike lanes on either side. Traffic flow on these streets can improve because the addition of a middle turn lane for cars means vehicles will no longer need to stop while waiting for a car ahead of them to turn left. Similarly, this middle turn lane can reduce collisions caused by this stop-and-go traffic. Traffic flow is more uniform, with fewer sudden stops and starts. a Federal Highway Administration study found that car crashes were reduced by 6% after road diets were initiated. a study of 13 four-lane undivided to three-lane conversions showed a 60 to 70 percent reduction in the number of vehicles traveling 5 mph faster than the speed limit. These roads all saw a reduction in total crashes that ranged between 17 and 62 percent reduction. a Pennsylvania DOT study found that a road diet from 4 lanes to 3 lanes (including a middle turn lane) led to reduced crashes, reduced dangerous maneuvers, more uniform traffic flow, and overall trip times were unaffected. The City of Arlington 2011 Citizen Survey showed that speeding in neighborhoods was the top concern of Arlington residents. These plans help to reduce speeding in our community. Pedestrian crash risk is reduced when pedestrians only have to cross two and three lane roads compared to roads with 4 lanes or more. By reducing the width of the road from 4 lanes to 3 or 2 lanes, pedestrians can cross the street more easily and safely. The Minneapolis Star Tribune reports that a 2008 study shows that as the number of bicyclists on city streets increases, the rate of crashes with vehicles falls. This is consistent with a 2003 study of two California cities. An Australian study also confirms that as the number of bicyclists increases the rate of crashes with vehicles decreases. The study finds that motorists simply adjust their behavior. The risk of vehicle-pedestrian accidents decreases as the number of pedestrians along the street increases. A study by Peter L. Jacobson in the journal, Injury Prevention, in 2003, found similar results, studying 68 cities in California, 47 Danish towns, and other European countries. The study found that pedestrian-vehicle accidents and bicycle-vehicle accidents decreased as the number of pedestrians and cyclists increased. These proposed plans will improve safety for all and we hope that our council-members will consider this information when voting on these plans. 2007 Federal Highway Administration Crash Reduction Factors Study (http://safety.fhwa.dot.gov), cited in Hike and Bike Plan, page 4-5. Rosales, Jennifer, Road Diet Handbook: Setting Trends for Livable Streets (New York: Parsons Brinckerhoff 2006), p. 3, citing in Hike and Bike Master Plan at page 3-5. Federal Highway Administration Summary Report, “Evaluation of Lane Reduction “Road Diet” Measures and Their Effects on Crashes and Injuries” March 2004, http://www.fhwa.dot.gov/publications/research/safety/humanfac/04082/index.htm. Knapp, K.K. and K.L. Giese, “Guidelines for the Conversion of Urban Four-Lane Undivided Roadways to Three-Lane Two-Way Left-Turn Lane Facilities,” Center for Transportation Research and Education, Iowa State University, Ames, IA, April 2001, cited in Mobility in Arlington, February 2011, http://www.arlingtontx.gov/planning/pdf/TDP/February%20Brochure_Final.pdf , page 3. Burden, D. and P. Lagerwey, “Road Diets: Fixing the Big Roads,” Walkable Communities, Inc., March 1999, http://contextsensitivesolutions.org/content/reading/road-diets-3/resources/road-diets-fixing/. Federal Highway Administration (FHWA) Summary Report, “Evaluation of Lane Reduction “Road Diet” Measures and Their Effects on Crashes and Injuries” March 2004, http://www.fhwa.dot.gov/publications/research/safety/humanfac/04082/index.htm , citing FHWA report, “Safety Effects of Marked Versus Unmarked Crosswalks at Uncontrolled Locations, September 2006. (Study of Oakland, CA). Safe Transportation Research and Education Center, Institute of Transportation Studies, Univ. of California-Berkeley, 4.01.2006. 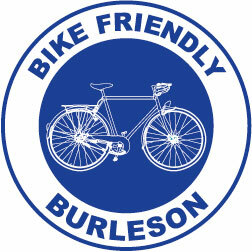 Jacobson, Peter L., “Safety in Numbers: More walkers and bicyclists, safer walking and bicycling,” Injury Prevention. Vol. 9, pp. 205-209. (2003). See also: Elvik, Rune, “The non-linearity of risk and the promotion of environmentally sustainable transport,” Accident Analysis and Prevention, April 2009, Vol. 41, p. 849-55. 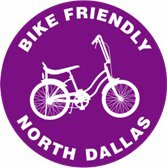 Join Bike Friendly Arlington as we celebrate our one-year anniversary! We will be holding our second annual Easter Ride, Saturday, April 16th! 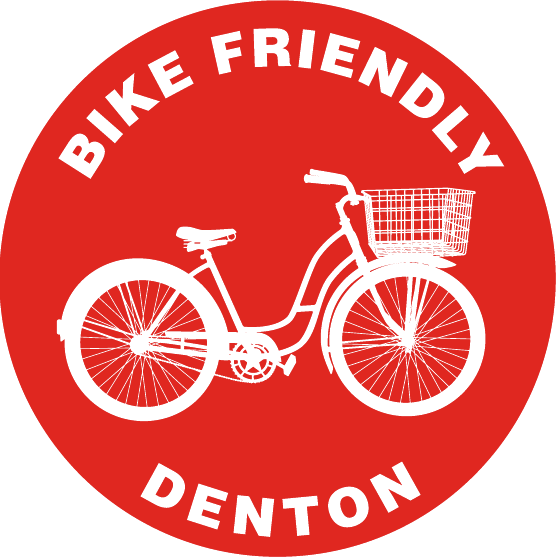 Meet us at noon at Arlington City Hall (101 W Abram Street) for a fun, family-friendly ride around Downtown Arlington. More details to come – check out the Facebook event! And if you haven’t heard, BFA has started having short weekly rides on Sundays, meeting at Mav’s at 1pm. And our pub rolls have become increasingly popular with the 21+ crowd – we have one this Friday! Check out our event calendar to stay up-to-date! Improvement to Air Quality. Increased walking and bicycling infrastructure will encourage more walking and biking for short trips for running errands, shopping, and entertainment, as well as traveling to work, and this will reduce automobile exhaust emissions. a reduction of 252 pounds per day in nitrogen oxides (NOx) emitted into the air. The new TDP will scale back the increase in roads. The increase will be 216 lane miles instead of 348 lane miles, and this means less concrete on the land, less stormwater mixing with oil and grease on the road, and less stormwater runoff and less pollution in our waterways. Mobility in Arlington, February 2011, page 2.